And the next day, Jerry went straight to Sacramento to fulfill his campaign season promises of tackling the state budget as early as possible. There's no disputing that Jerry faces a challenge of colossal proportions, especially when it comes to the budget. Although voters approved Proposition 25 on Election Day, which allows a budget to pass with a simple majority in lieu of the previous two-thirds requirement, they also passed Propositions 22 and 26, which make it more difficult to both borrow cash from local governments and impose any new fees. In backing all three propositions, the voters' message was simple: Pass the budget on time, but don't take any more money from us. In fact, they even rejected a measure that would have increased vehicle license fees by a mere $18 to raise money for state parks. Jerry has made it clear he understands the popular sentiment, and his pledge to impose no new taxes without voter approval speaks to this. Setting a precedent for bipartisan efforts, while in Sacramento Jerry met with members from both parties of the state legislature to begin budget talks. California officials followed his lead, opting for cooperation over stratification. Even state Senate Republican leader Bob Dutton said he would meet Jerry with "an open mind." Rightfully so. As the New York Times pointed out over the weekend, a lot has changed about California since Jerry last governed--but a lot has changed about Jerry as well. He has accumulated years of experience in an array of leadership roles, and today, he approaches his once and current position with the perspective of a seasoned politician. And he brings a new confidante along to help him, too: First Lady Anne Gust is his most trusted advisor. Jerry and Anne will finally get some much-needed relaxation during their vacation this week. But never one to curtail his duties, our Governor-elect will resume work promptly next Tuesday. I wish them both a restful and refreshing trip, as the job ahead will certainly not be easy. 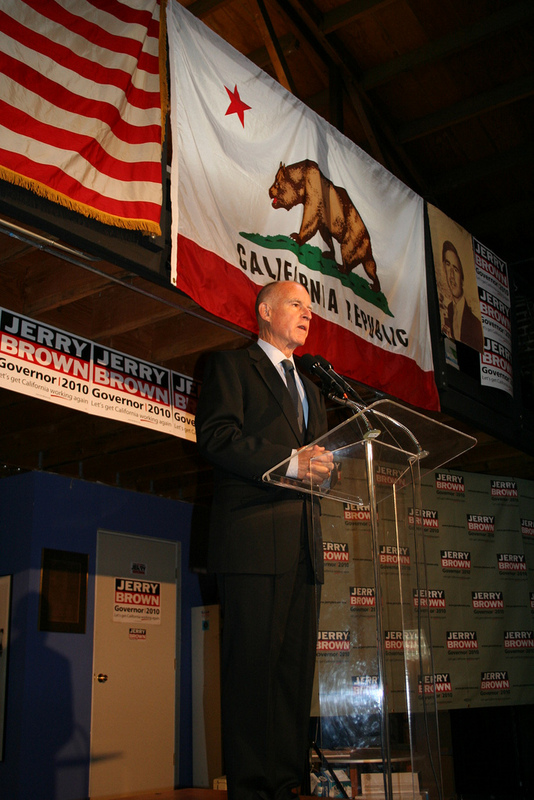 Luckily, Jerry Brown is always ready for a challenge.